For unsurpassed audio clarity and fantastic flexibility, invest in a set Phonic aSK passive speakers. 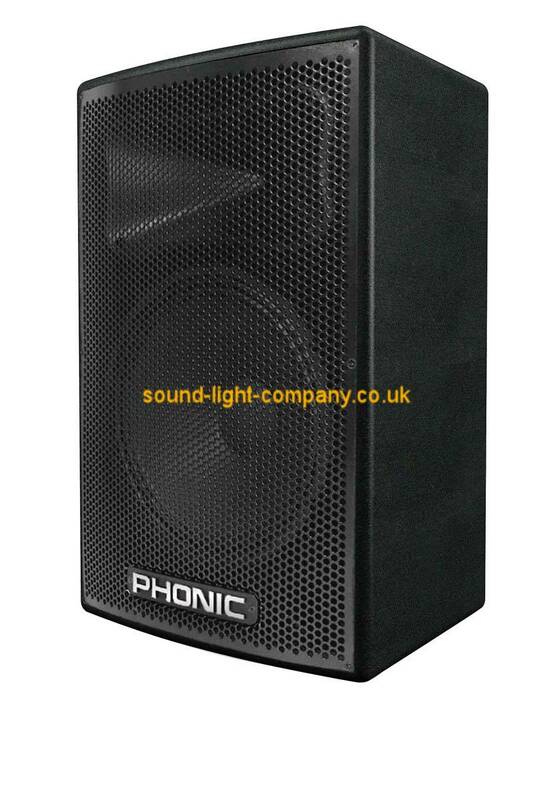 Phonic's aSK series comes in various shapes and sizes, ideal for any manner of permanent installation or on-the-fly setup. The series includes a number of 2-way enclosures with 10", 12" and 15" woofers matched with quality high frequency tweeters, as well as an 18" subwoofer for amazingly deep bass enhancement. All units are built into sturdy, carpeted enclosures with built-in handles, providing sensational durability while on the road. ¼" phone jack input connectors make the aSK series compatible with the majority of amplifiers and powered mixers on the market today. For precise reproduction of all your audio, in addition to exceptional versatility, you cant go wrong with a Phonic aSK.